GPS tracking devices are now available that integrate all-over vehicle safety via real-time video streaming, GPS tracking and monitoring vehicle data. There are a variety of instances where monitoring both video and audio events around your vehicle is essential to the safety of your driver, your asset and even to the public. GPS tracking devices with mobile drive recorder features allow you to stream live video and audio while the vehicle is in service for your business and can record this data for future reference in the event of emergency, theft or other critical events. 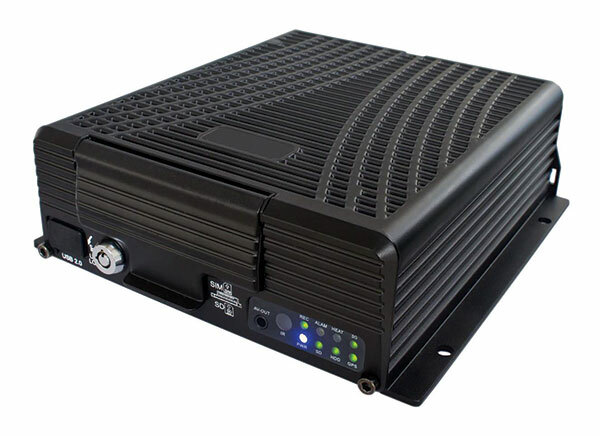 The fleetminder MDVR device meets this requirement of providing vehicle camera recording, live video and audio streaming and GPS tracking data in the one unit. 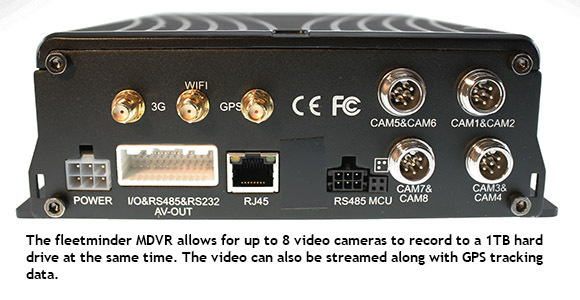 The drive recorder feature of the fleetminder MDVR allows you to connect up to eight cameras around the perimeter or interior of the vehicle to give a 360 viewpoint of the events that occur around your vehicle. GPS tracking devices are integrated into your vehicle and can monitor temperature, speed, and even G force during hard breaking or when an accident occurs. This data is recorded and monitored via two way communication with the GPS device and allows you to address any driving concerns before they cause damage to your vehicle. Additionally, you can monitor how the vehicle is performing and schedule maintenance if a vehicle begins to show substandard performance in the field. No matter what business you are in you can customise the GPS tracking device with mobile DVR for your needs and specifications. If you are working in law enforcement then there is the option to add-on bulletproof or infrared cameras to work in a more dangerous environment and you can add additional drives for storing large amounts of video data. GPS tracking devices with mobile DVR give you the tools to track your vehicle assets, employees and cargo in a variety of different situations and will help to protect your assets when they are in service.